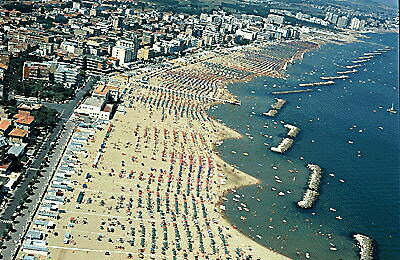 Arrival in Pesaro, free day to enjoy the sun, the beach and the sea, or for optional excursions. Dinner and night at the hotel. Right after breakfast, meeting with you travel guide for a tour of Pesaro. Pesaro is the hometown of Rossini, the great composer of the 19th century. He is also famous for having been a food connoisseur, and a few recipes have been named after him. Among these, the “Pizza Rossini” that we will enjoy at lunch. 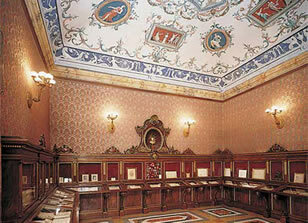 Right beside the Palazzo Ducale we will visit the birthplace of Rossini, its original furnishings intact. The Rossini Temple is located in 18th century Palazzo Olivieri, now owned by the Rossini Foundation thanks to the legacy by Rossini himself to his hometown, which he named his heir. The palace boasts frescos by Pesaro-born painter Gian Andrea Lazzarini (1710-1801) and his disciples. Lazzarini used the hall just before the temple (the so-called Marble Hall) to represent the birth and highlights of the Pesaro community. An interesting detail: what looks like actual marble inlays is in effect the result of a particular painting technique called scagliola that employs pigmented plaster made of ground alabaster or gypsum. 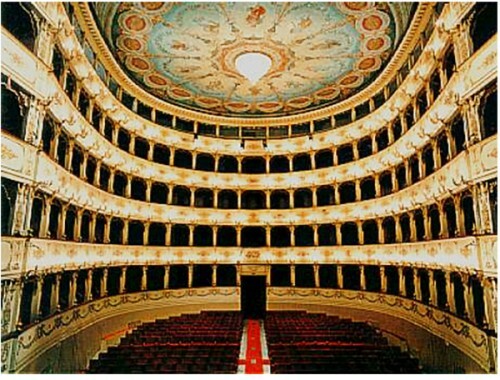 Our visit will continue with the Conservatorio, where young musical stars are born, and the Teatro Rossini. The theatre was inaugurated as Teatro del Sole in 1637, during the papacy of Urbanus VIII who donated the old ducal stables built by Federico Ubaldo Della Rovere for the construction of a venue for public performance. The building undergoes several conversions in the course of time. 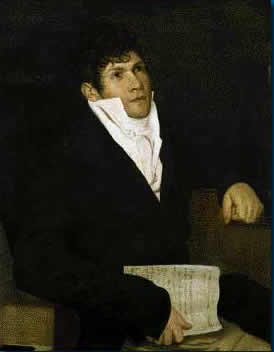 A proper reconstruction is undertaken by Architect Pietro Ghinelli between 1816 and 1818, when the theatre is inaugurated as Teatro Nuovo (New Thatre) with an exceptional representation of La gazza ladra, directed by Rossini himself, already famous at the time despite being only 27 years of age. Of the original only the bossage portal by Filippo Terzi has survived to this day. The neoclassical structure designed by Ghinelli, horseshoe-shaped and with four orders of boxes is called “all’italiana”. The curtain, by Milan-born painter Angelo Monticelli ates back to the same period. In 1855 the theatre is named after Rossini. In 1934 the façade was rebuilt and the lobby was modified to allow the creation of an ample hall (now the Sala della Repubblica) at the third tier of boxes. The last structural restoration took place in the 1970s, after the theatre had been declared unfit for use in 1966. The reopening of the Rossini theatre in 1980, and the contemporary birth of the Rossini Opera Festival, marks the start of a very intense period in the life of the building. A last intervention took place from 1998 to 2002 to adapt the building to the latest safety regulations. 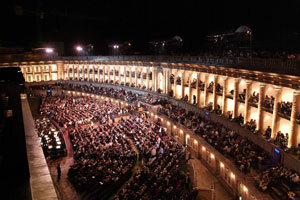 During the course of the year, the theatre hosts the operas and concerts of the Rossini Opera Festival, a theatre season, a concert season and the National Drama Festival. The tour will end with a visit at a luthier shop and its annex, the recently inaugurated Educational Museum of Musical Instruments. Lunch at a local restaurant. Afternoon available for individual visits or for some relax on the beach. Dinner and night at the hotel. After breakfast, meeting with the tour guide for another music-centered day. Transfer to Maiolati Spontini, famous for giving birth to the great composer Gaspare Spontini, whose name was added to the town name in 1939. Surgeon Carlo Marcelletti lived for many years in Moie, a town quarter. In Maiolati we also find a large park, the Colle Celeste (Celeste Hill), dedicated to the artist’s wife, Celeste Erard. The most noteworthy monument is the Santa Maria Abbey in Moie, the largest neighborhood in town, where most of the population resides. In Maiolati we’ll visit the Casa Museo di Gaspare Spontini, the house on via Spontini where the composer and his wife spent the last years of their lives. They restored the house with the intent of coming back and live in Maiolati, but the Maestro’s success in Europa set an agenda so demanding, first at the French and then at the German court, that he and his wife could spend very little time in their beloved Marche. The building, in a neoclassical style has an elegant façade with laid bricks in plain view: the ground floor is where the kitchen and servant quarters were located; on the rear you’ll find the enchanting garden that Celeste Erard made rich with fig and mulberry trees. The first floor is entirely dedicated to the career of the Maestro, while on the second floor, rooms are aligned along a corridor, each one furnished in the style of the time. A curios discovery is a tiny restroom, the first ever built inside a private house in Maiolati. Among the family objects are some real rarities, like a cup portraying Willelm III of Prussia, a protector of Gaspare Spontini in Germany; another cup depicts the composer himself with contemporaries like Haydn, Händel, Gluck and Mozart. Besides music scores, manuscripts and props, we will admire two fortepianos by the Erard Brothers from Paris. The family of Celeste Erard was at the time a renowned producer of musical instruments and, along with the fortepianos, the spouses brought with them from Paris two portaits of themselves taken between 1810 and 1820. Of particular interest are four paintings, who are actually set sketches of great pictorial quality, depicting some of Spontini’s french plays: Milton (1804), La Vestale (1807), Fernand Cortez (1809) and Olimpie (1819). In a separate room we will see the elegant uniform that the Académie de Beaux Arts donated to Spontini in 1839 and the medal coined for the first festival in Halle in 1829, which he directed. During that festival, Halle University conferred the maestro a honoris causa degree of Doctor in Music. We will then move on to Jesi, where we will have lunch. We will start with a tour of the 13th century walls and the Frederick II square, where according to legend, Costanza d’Altavilla gave birth to the Emperor. We will admire the former church of San Floriano, a number of lovely baroque palaces, and the Duomo with his neoclassical façade. Along the via Pergolesi we will find the Amici palace, dating back to thew 1500s, and on its right we’ll find the stone marking the birth of Giovan Battista Pergolesi. Giovanni Battista Pergolesi (Jesi, 4 January 1710 – Pozzuoli, 16 March 1736) was a composer, violinist, organist and one of the first and foremost composers of opera buffas and sacred music. Hi lived a very short life, and was a meteor in the Italian musical landscape of the early 1700s. Yet, he made such a sensation that he is more remembered by his legend than by his history. His life story, on the other hand, lends itself to hagiography: born into a poor, debt-ridden family, weak and frail of health, died alone in a convent at only 26 years of age. Such a biography already borders on the myth, but for decades hagiography overshadowed the inventiveness of a composer who, with “The Servant Mistress” gave birth to a new genre, the comic opera that will find its greatest expression in Mozart and Rossini. At the end of the street we’ll visit the Indipendenza and Spontini squares, where we’ll see the Town Hall and the Palazzo Ricci. In piazza Colocci we’ll see the Priori palace, or Palazzo della Signoria. We’ll also have the opportunity to visit the Theatre Pergolesi, the Pianetti palace, the civic art gallery, the chirch of Santa Maria and the Sanctuary of Santa Maria delle Grazie. We’ll be back at the hotel for dinner and the night. Right after breakfast you’ll meet your tour guide and leave toward Castelfidardo, the town of music, resting on a hill with a wonderful view of the sea. 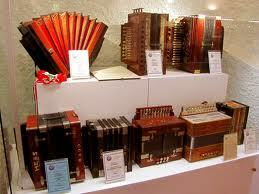 Castelfidardo hosts an accordion museum with items since the very birth of the instrument, and the yearly Accordion Festival takes place. 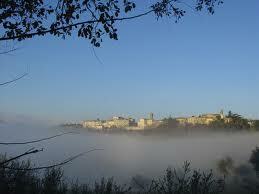 The trip will continue towards Recanati, ancient town and birthplace of the poet Giacomo Leopardi. Here, we will visit the Palazzo Leopardi, home of the poet and still inhabited by his descendants, and enjoy the famous library and the world-known Colle dell’Infinito that inspired his immortal poem. Lunch in a nearby agritourism. In the afternoon, the trip will go on to Macerata, the so-called “Athens of the Marche”, seat to an ancient Studium Legum who gave birth to today’s University. In Macerata we will admire: the Arena Sferisterio, a grandiose neoclassical building, jewel of the city and home to a prestigious lyrical season; the piazza Mazzini; the Duomo; the Basilica della Madonna della Misericordia (Cathedral of Our Lady of Mercy) by Luigi Vanvitelli; la Piazza della Libertà; the historical “Lauro Rossi” theatre. We will then return to the hotel for dinner and the night. Breakfast and dinner at the hotel, days free for optional tours or to enjoy the seaside. Would you like to book this itinerary? Just drop us a line! This tour is managed in collaboration with Viaggi&Aziende, an official tour operator.